As towers of choking smoke and thick ash billow into Bali's air the race is on to evacuate 100 thousand people. Now fearing a massive eruption from Mount Agung. Indonesia issuing its highest warning, as the Volcano threatens to blow. 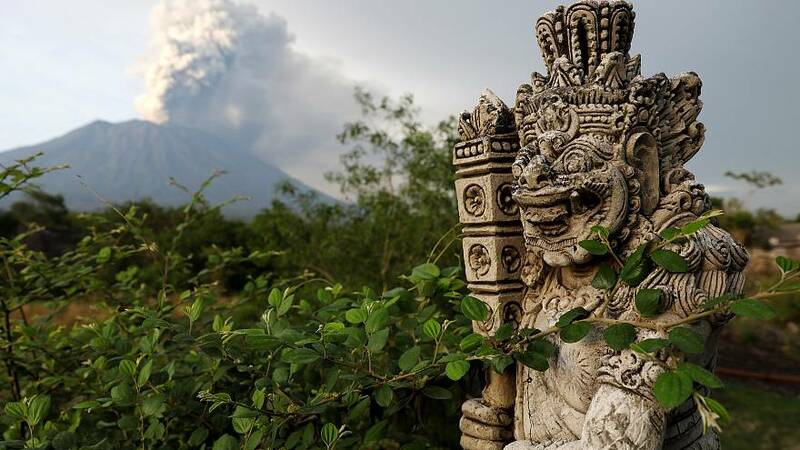 Bali's aiport is shut down, as ash shoots 2 miles into the air and hot gases rise from the mouth of the pulsating volcano. 59 thousand air travelers grounded. The last time Mount Agung erupted - in 1963 - at least 1100 were killed unable to escape the cascading debris.